Try growing a plant instead of plugging in a machine to add moisture to your dry air. Dry indoor air in the winter can wreak havoc with your health. Lack of moisture can cause your skin to become dry and cracked and your eyes, your mouth, and your sinus passages to become dry and even painful. In addition, you may experience jolting static shocks when you touch your pets, your bedding, or even your television. 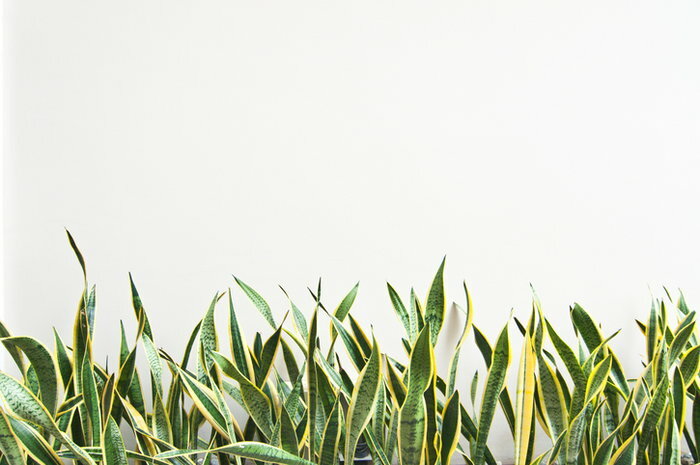 Running a humidifier is one way to solve the problem, but did you know that growing houseplants do an effective job of replenishing moisture in the air? Since they're often varieties that thrive in humid environments, they will take in water through their roots, and then release moisture through the pores located on the underside of their leaves or fronds. This process is called transpiration. 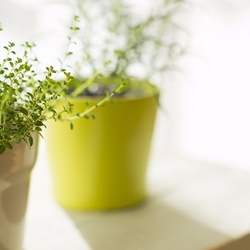 Here are several common house plants that can help create a more humid atmosphere in your home. Note: Indoor humidity should be kept between 35 and 65 percent. Too much moisture can create a breeding ground for bacteria, mold, and mildew. NASA research found that the Areca palm is one of the most efficient air purifying plants and that it is an excellent humidifier. In fact, a six-foot Areca palm will transpire nearly one-quart water in 24 hours. Fortunately, they are also fairly low-maintenance plants. Place them in bright, filtered light to avoid leaf burn, give them plenty of water, and prune occasionally to keep them thriving. Thought to be one of the oldest plants still around—ferns have been found as fossils—the Boston fern is a reliable, easy-to-care-for houseplant. Best displayed in a hanging basket or on a pedestal, this plant needs frequent misting and watering to say healthy, but it will reward you with added humidity in your home. Medium, indirect sunlight is best for healthy growth as well. One of the hardiest houseplants you can find, the spider plant grows long leaves with delicate white flowers. This trailing perennial also has a strong rate of transpiration that can help keep your air moist. Spider plants enjoy medium to bright light and like to dry out between waterings. To keep your plant stress-free, trim the offshoots and root them in soil or water to start a new plant. 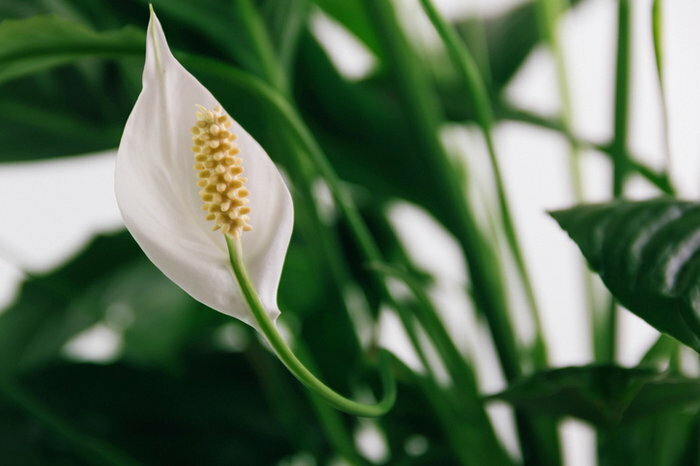 Another flowering perennial with a high transpiration rate, the peace lily prefers medium to low sunlight, filtered, and moist but well-drained soil. Some varieties of peace lilies can grow up to six feet tall, and they produce dramatic white flowers. The peace lily also removes many harmful indoor toxins from the air, and make sure to keep it out of reach of both cats and dogs, as it is toxic to them if ingested. The rubber plant is a Ficus variety named for a milky white latex it yields (different from the main commercial source of latex for rubber). It tends to prefer partial sunlight and can tolerate cooler temperatures and drier soil better than most indoor tropical plants. 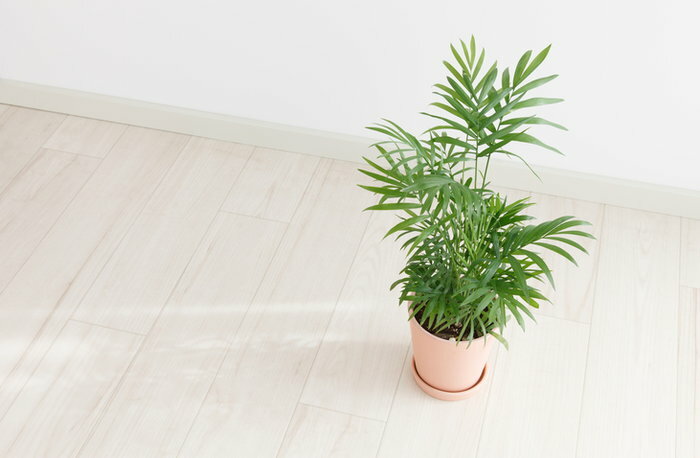 Water this plant, which can grow up to eight feet tall, sparingly, letting it dry between waterings for a hardy, healthy air purifier and humidifier. With its shiny, green leaves covered in interesting markings, the Chinese evergreen is a lovely houseplant. It is easy to care for with low light and watering requirements, but you will need to make sure its soil is well drained and that variegated plants have more sunlight as needed. The Chinese evergreen is another plant well-known for its abilities to purify toxins in the air, and as such, it also has a high transpiration rate that will help humidify the air around it. Here’s another hardy perennial that adds beauty and moisture to your home. 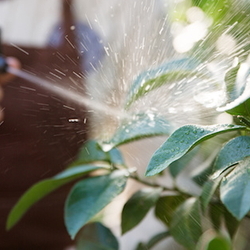 It tolerates irregular watering and low-light conditions, so it's actually harder for less skilled gardeners to kill with neglect. With its glossy leaves with red edges, you’d probably choose the marginata for its looks alone. However, this slow-growing plant provides a few other benefits. It removes formaldehyde and benzene from the air and filters out other toxins while creating a more humid environment for itself. The marginata prefers bright indirect light. It will handle lower light levels, but its leaves will be thinner. The low-maintenance bamboo palm will thrive in a sunny spot while it too removes benzene, trichloroethylene, formaldehyde and other toxins from the air, leaving behind clean oxygen and moisture. You can place these humidifying plants singly throughout your home or group them together to create their own humid microclimate. You can also increase their humidifying potential by adding small pebbles to saucers underneath them and filling them with enough water cover about half the depth of the pebbles. Empty and clean the saucers frequently to prevent algae or other unwanted growth.